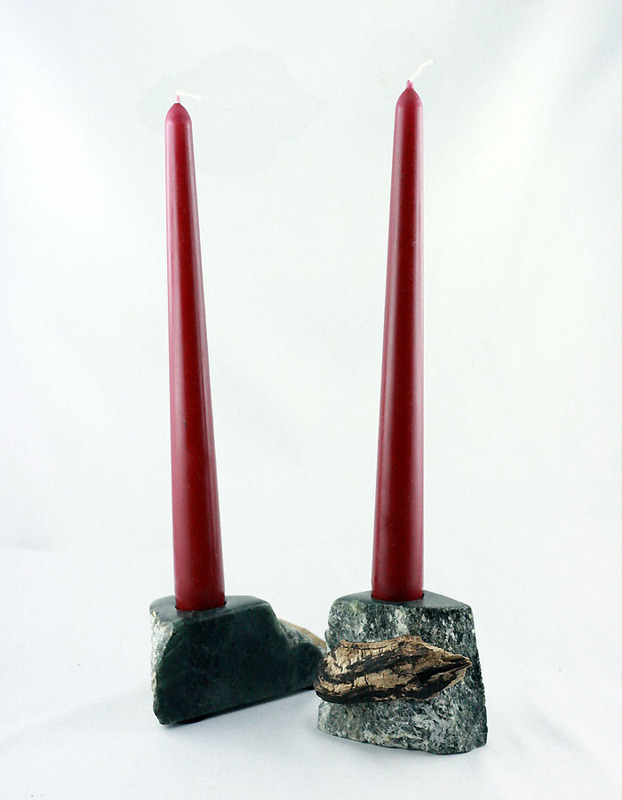 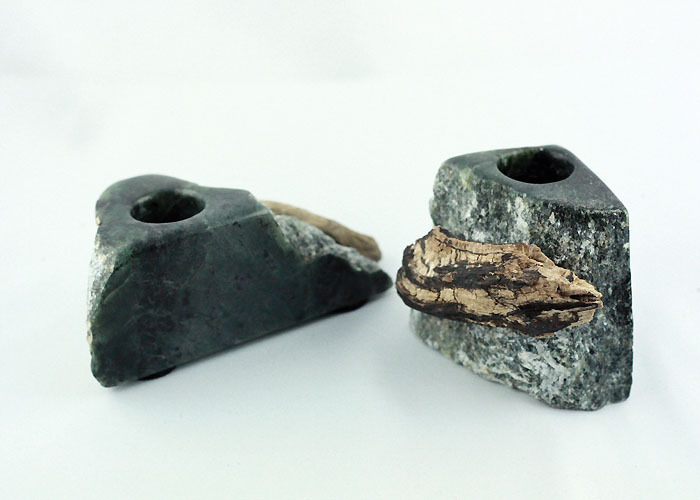 “Tim & Tom” – A pair of candlestands made from Brazilian steatite and driftwood from the baltic sea. 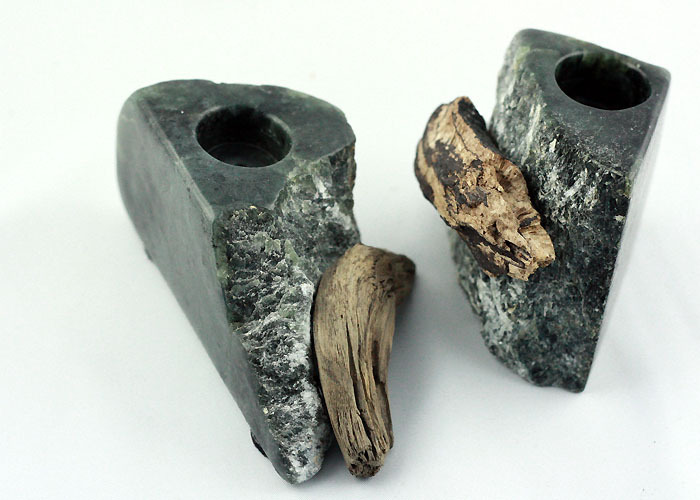 The green and black colouring is showcased by the polished parts of the candlestands while it’s original texture is retained. 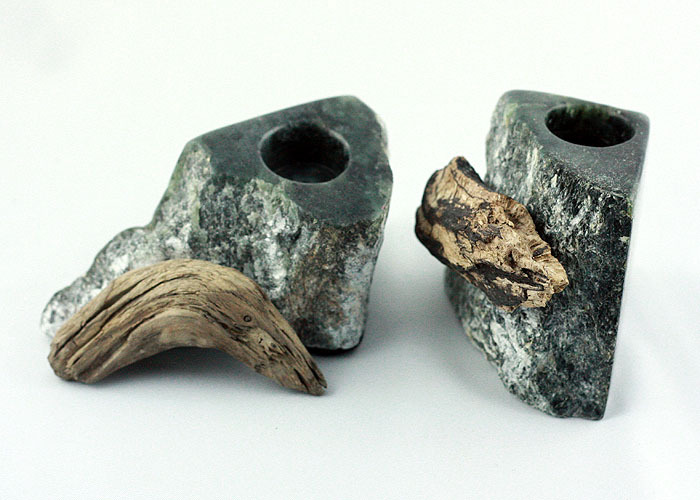 The resulting contrast gives Tim&Tom their unique look.